In this village, a German tanks clashed with Soviet tanks, when they tried to break through encirclement ring to rescue a circled army. 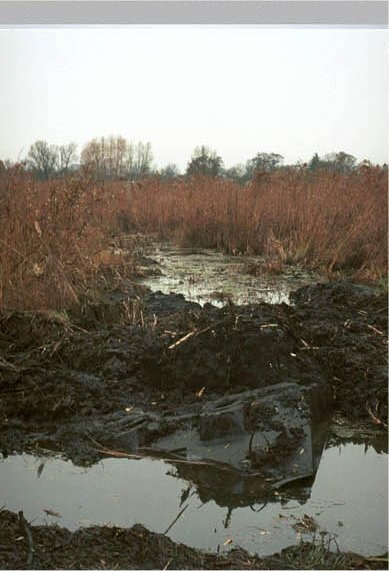 There is still a war technics left in a Korsun marshes and rivers. It is one of nine "Sherman" tanks which took part in a Korsun operation. Sherman was an American tank which Soviet Union have been receiving with other humanitarian aid. 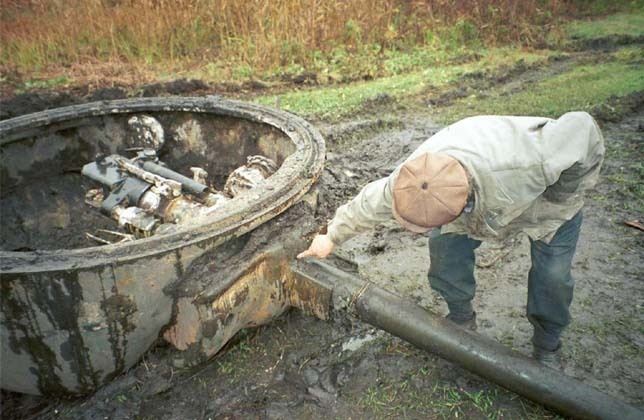 Whatever they say about Shermans thickness of the armour or gasoline engines, Soviet never looked a gifted horses in a mouth, gladly received help and Shermans fought here in battles. 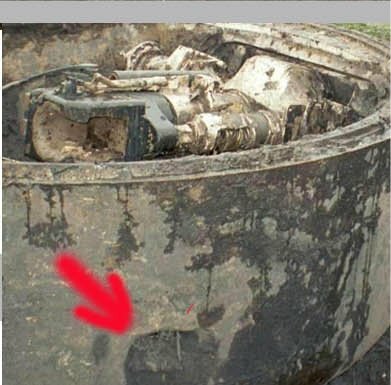 The body of this tank sit in marsh, while top has been pulled out. There is a shell-hole on a left side. 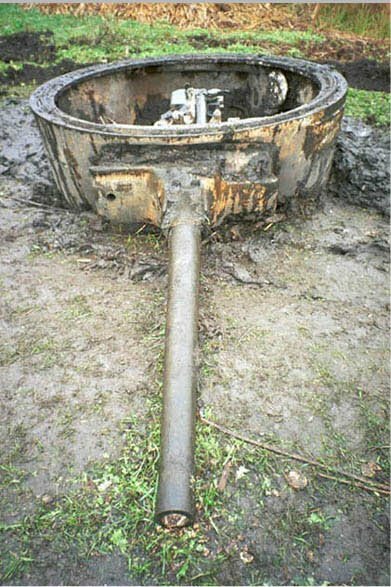 Some day old Sherman will be dragged out, put in one piece and restored.